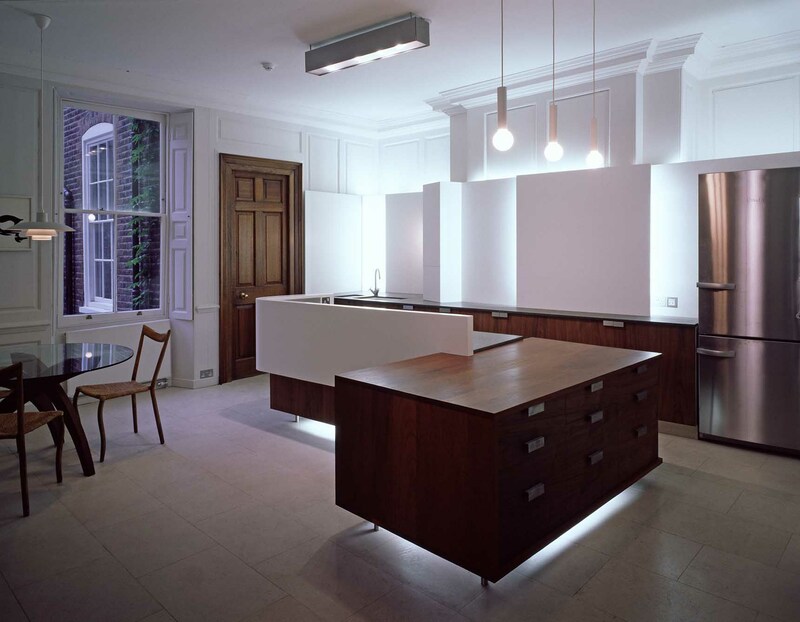 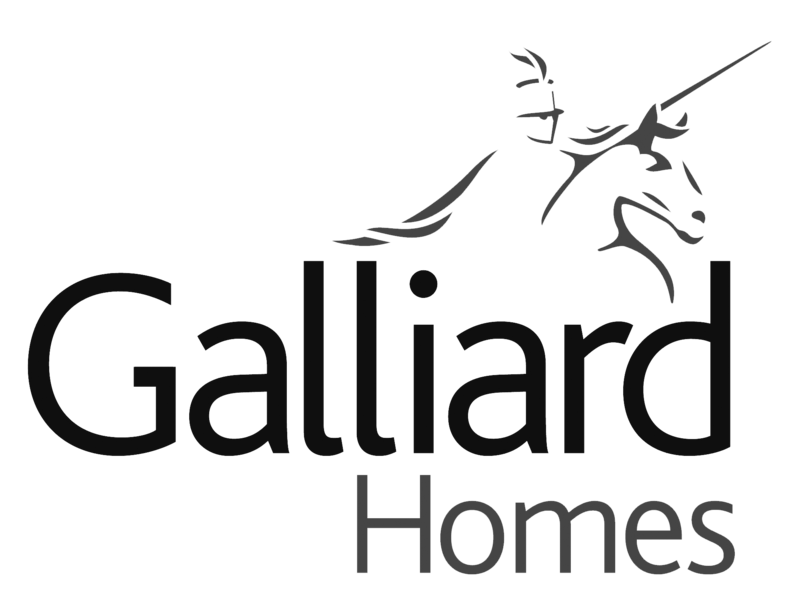 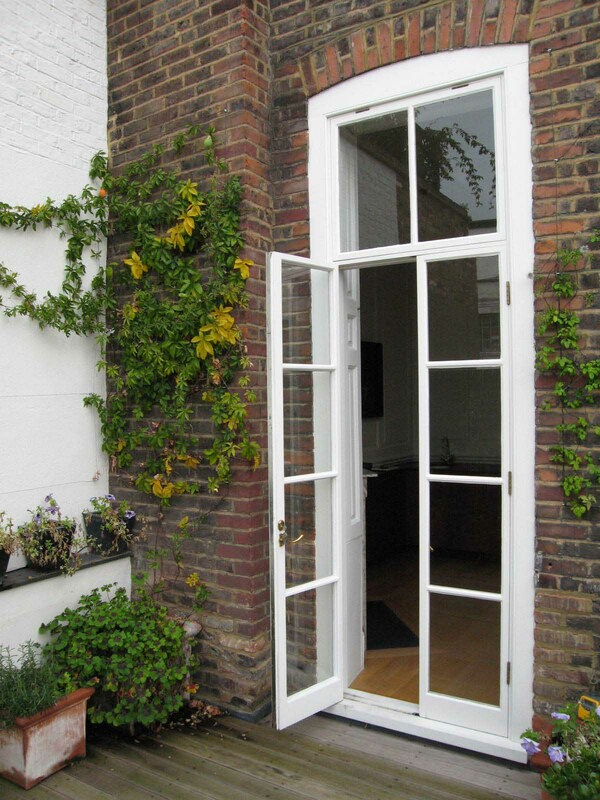 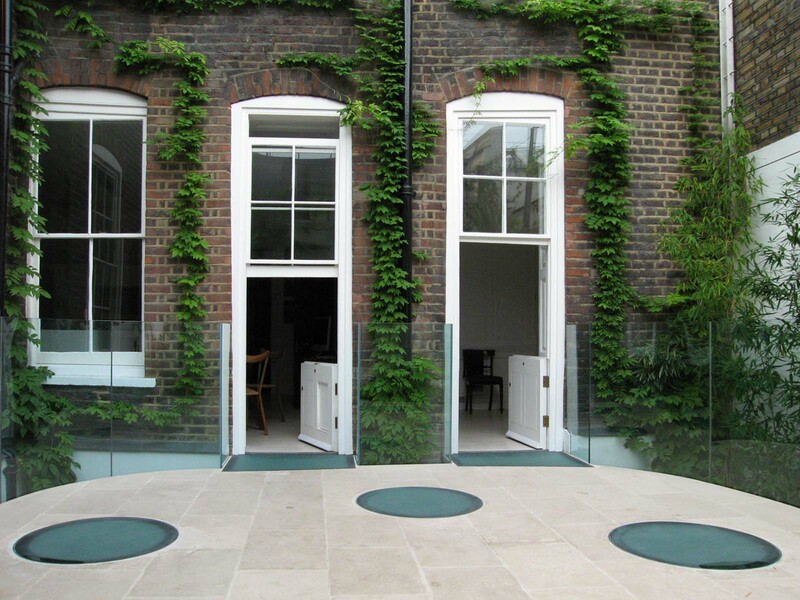 This project, which we completed in 2005, saw us working to transform a historic Georgian townhouse from bland, carpeted offices into an elegant contemporary home and gallery. 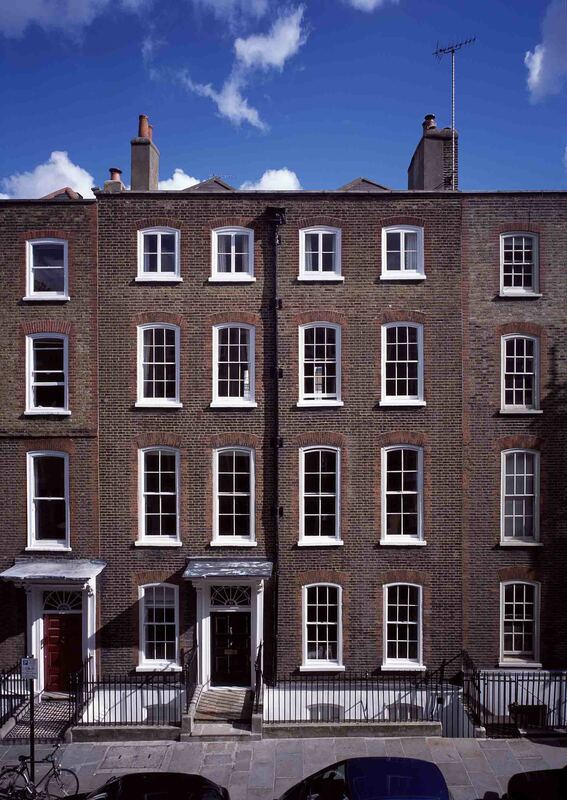 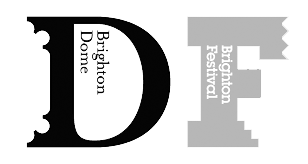 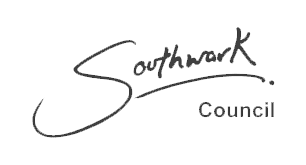 The Grade II* listing of the original structure required us to secure and comply with complex permissions. 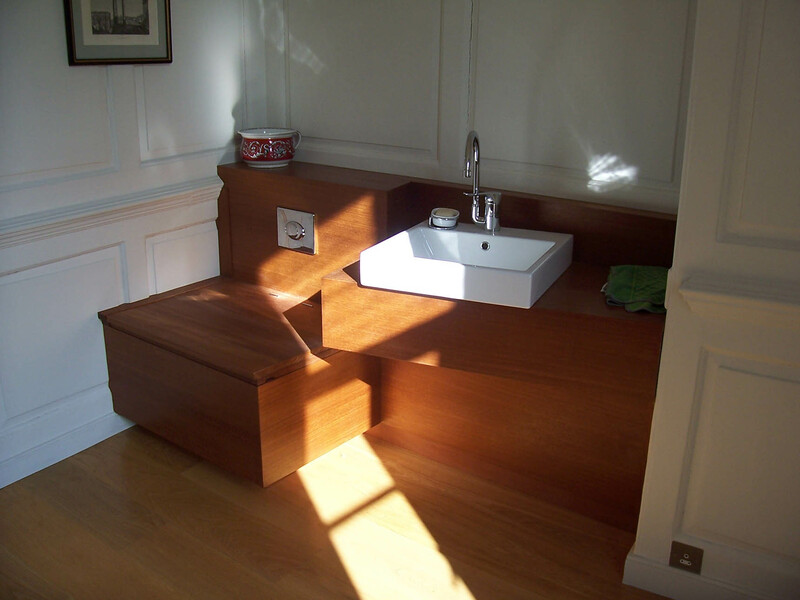 It was a privilege to work with stunning original features, including elegant wooden panelling and a sweeping staircase. 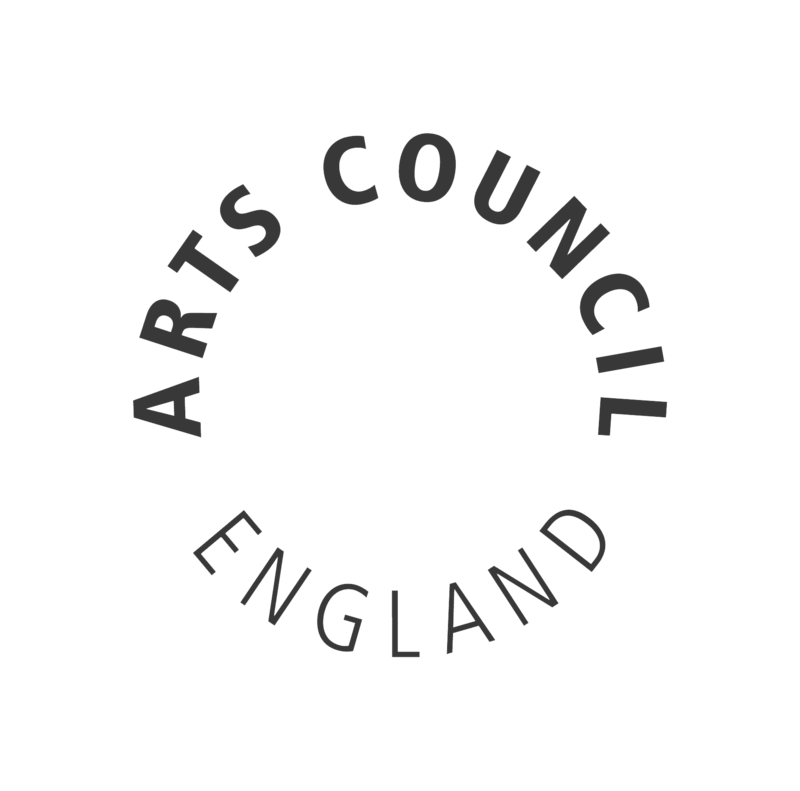 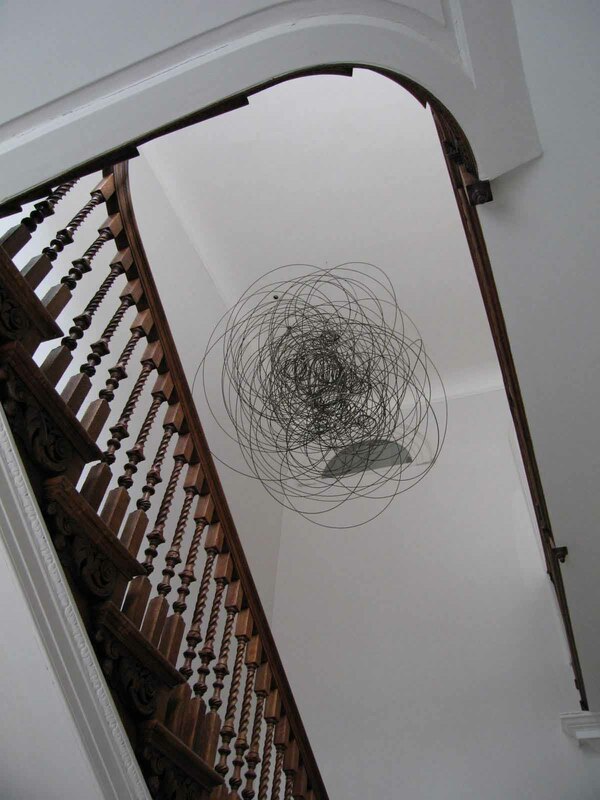 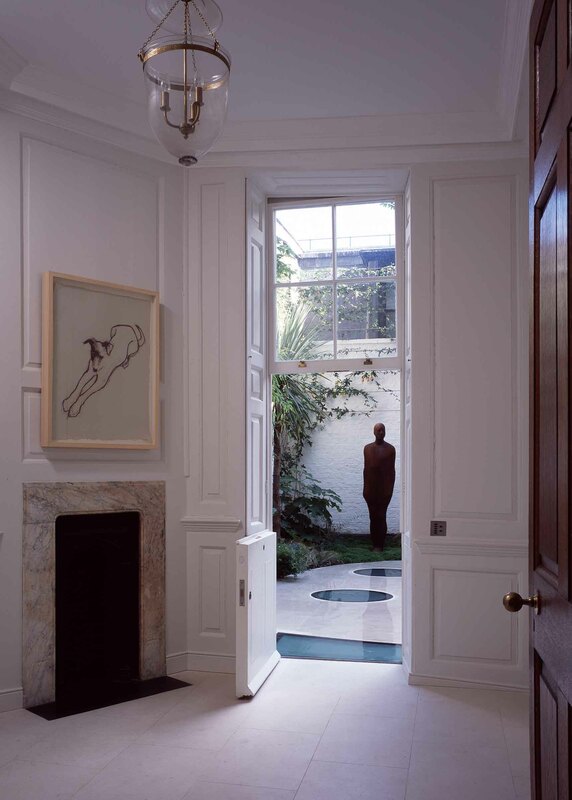 We also enjoyed the creative opportunity to integrate the architecture with the owner’s art collection, which contains an important Antony Gormley figure, One and Other. 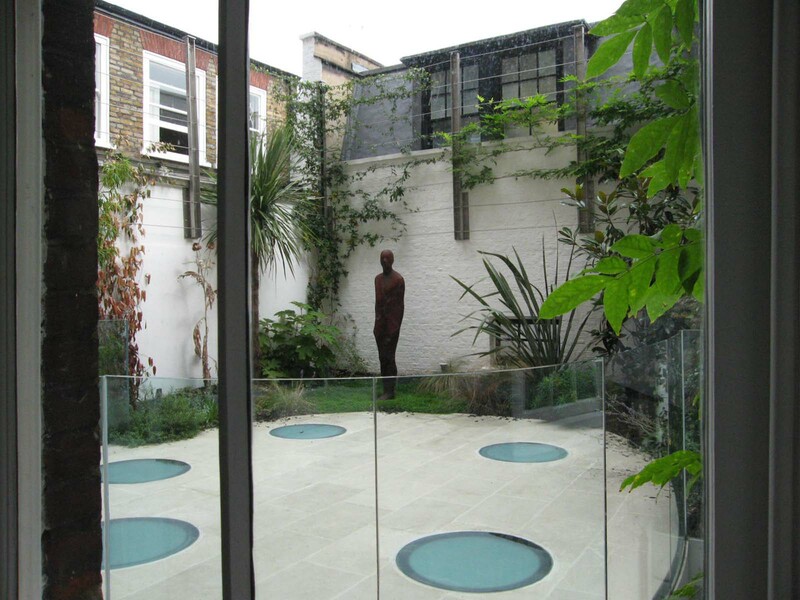 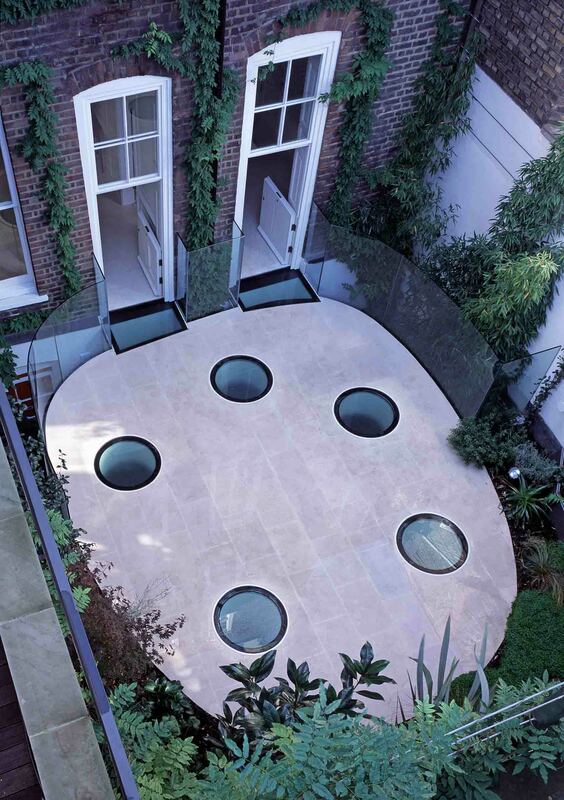 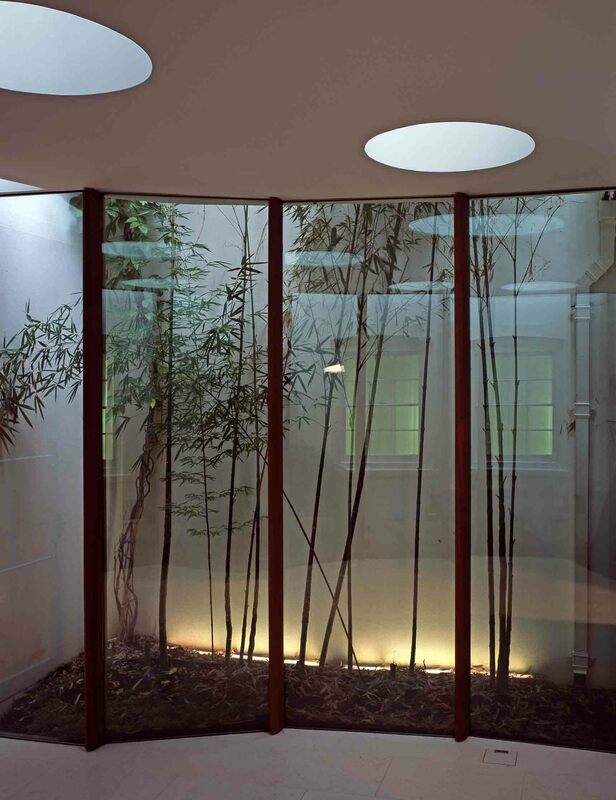 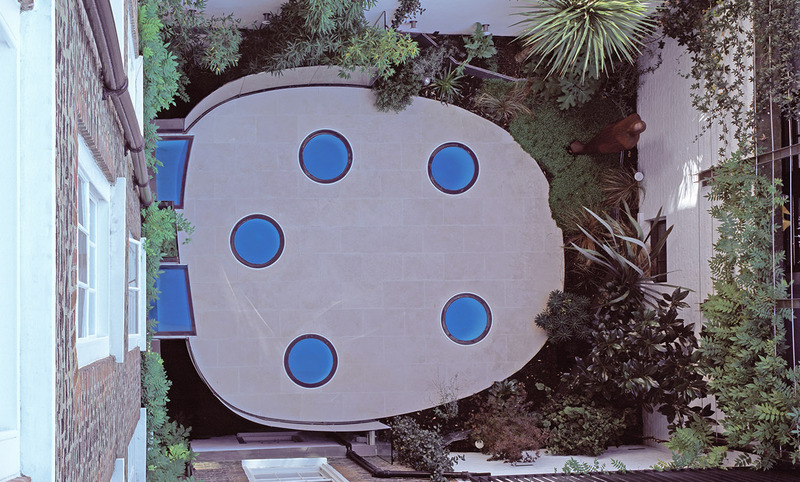 A key intervention to the rear of the house, was to oversail the existing courtyard space with a new ovoid terrace of white stone, which we connected to the house at ground floor level with glass bridges and finished with curved glass balustrades. 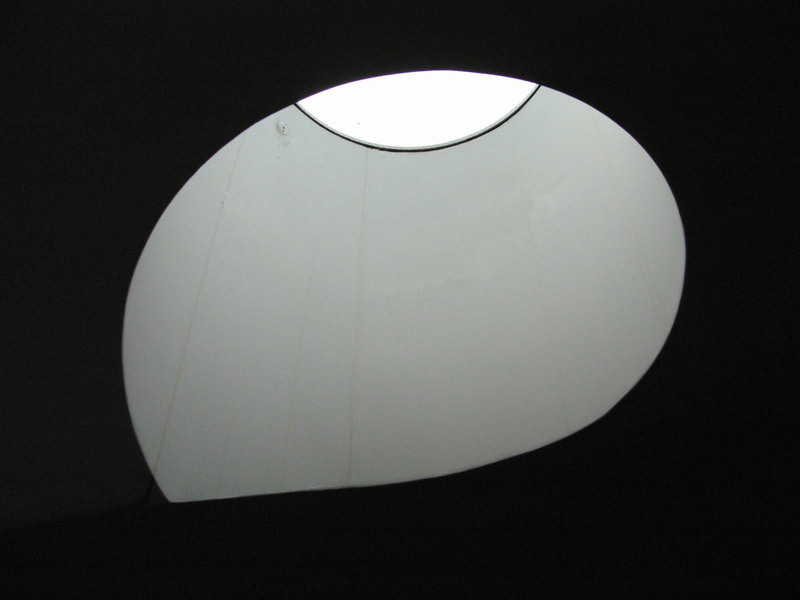 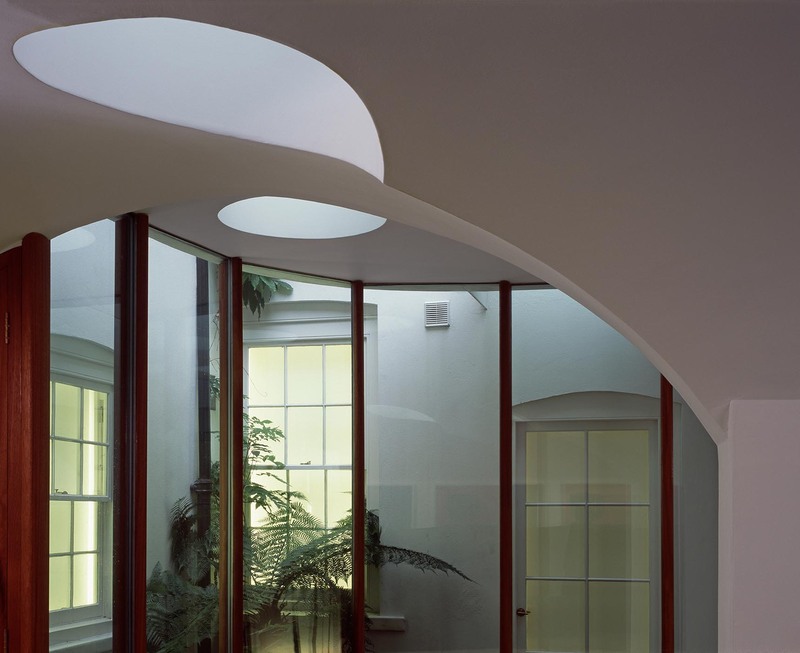 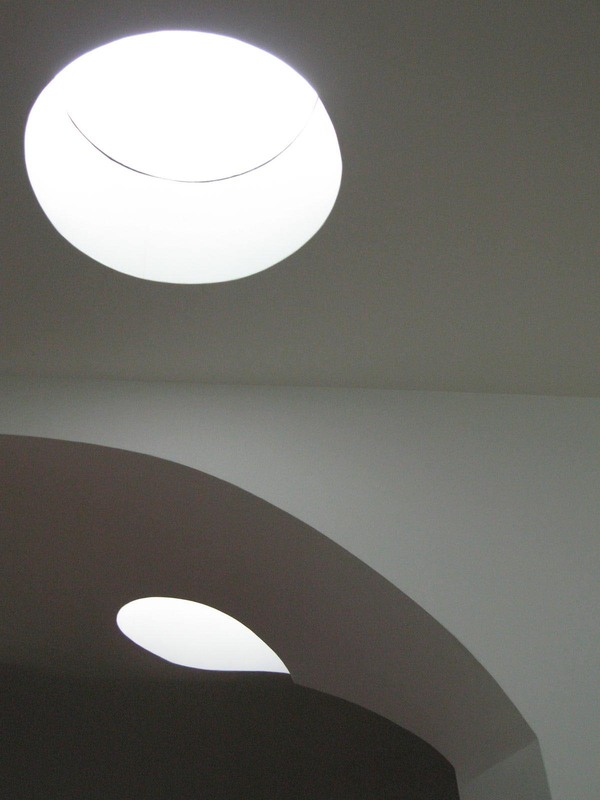 The new structure incorporated the historic vaulted cellars, where the addition of circular rooflights, punched through the terrace, create intriguing and sculptural forms where they intersect the arched ceiling. 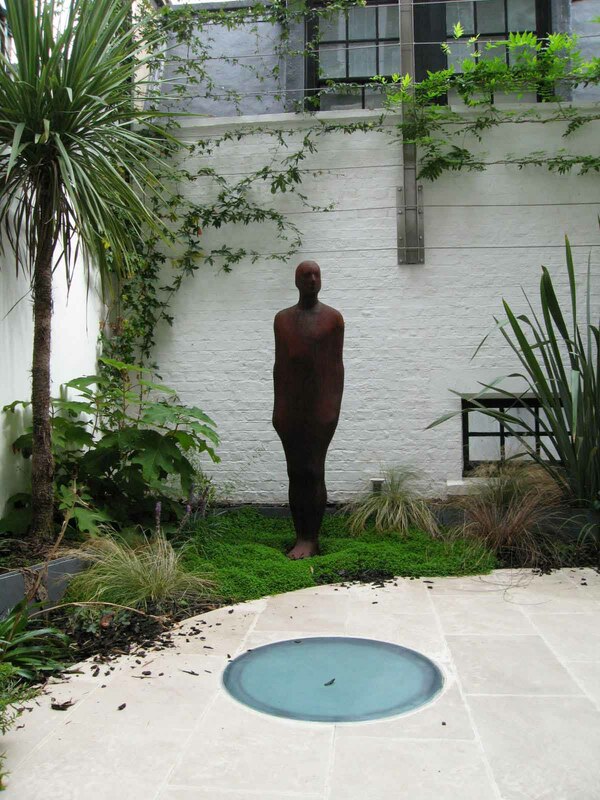 Moving and installing the Gormley piece to the rear of the property was a technical exercise that took meticulous preparation and a series of special engineering measures. 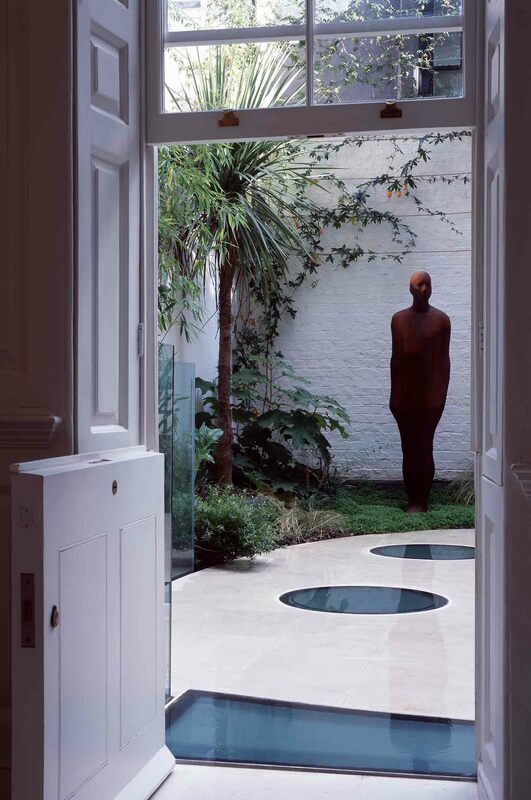 Looking through the finished home from the front door, he can be seen presiding over the home like a mysterious house spirit.